The Vortex Scorpion takes interactive play to new heights. This enormous water play structure comes to life when users press on the Funflow Actuators, creating an all-new level of team play experience. 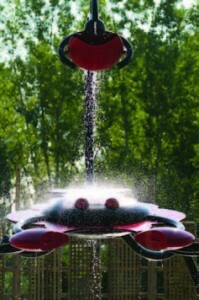 The Scorpion makes an exciting focal point in any splash pad or aquatic facility.